The Oakwood is a 2 bedroom, 2 bath home that will fit on a narrow lot and still give you the feeling of having large rooms. The roof is made of trusses with a 5/12 pitch using scissor trusses over the living areas. The porch has a vaulted roof system. 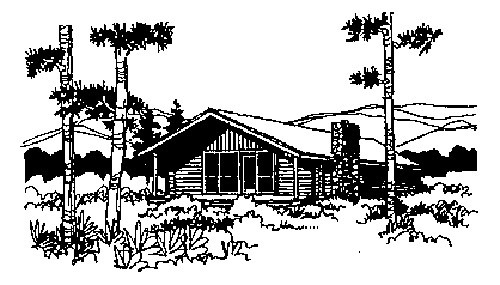 To view the pricing of this beautiful Traditional Series log home, visit our model pricing page located here.